This post was originally published as a guest post during THE DAYDREAMER DETECTIVE blog tour! Haven’t read THE DAYDREAMER DETECTIVE yet? You can purchase it now! 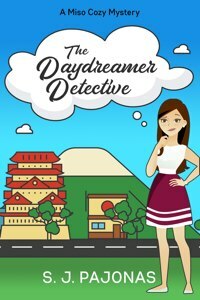 When Mei first meets Yasahiro, the town’s newest bachelor chef, in THE DAYDREAMER DETECTIVE, it’s not all fireworks and lovelorn looks across the room. She’s been a fan of city-style fast food straight from the convenience store for the past ten years or more, and Yasahiro’s Japanese slow food cuisine makes her want to roll her eyes. In the beginning, she’s very skeptical, and even though he’s annoyed by her behavior, he still wants to prove to her that his food is better than anything you can buy at the local 7-Eleven. When I think of typical traditional Japanese dishes, my mouth starts to water and I seek out the ingredients at my local grocer. Skipping over fresh, hot rice from the rice cooker, these are my top 5 traditional Japanese dishes. 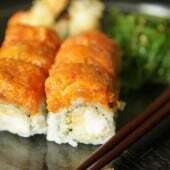 A super oishii sushi meal but sushi is just the tip of Japanese cuisine. Miso Soup – A staple at many Japanese meals, miso soup, made from miso paste dissolved in dashi stock and garnished with seaweed and tofu, is a light but hearty hot soup that is consumed at any time of the day. I usually make mine with packets from the store, but homemade is even better. Sushi – Of course sushi! Probably one of the most well-known Japanese foods outside of Japan. It’s rice and raw fish or vegetables, rolled up in vinegared rice, and wrapped in nori seaweed. I make it at home occasionally, but I love it fresh from my favorite Japanese restaurant. In Japan, sushi was once “fast food,” eaten standing up with your fingers. 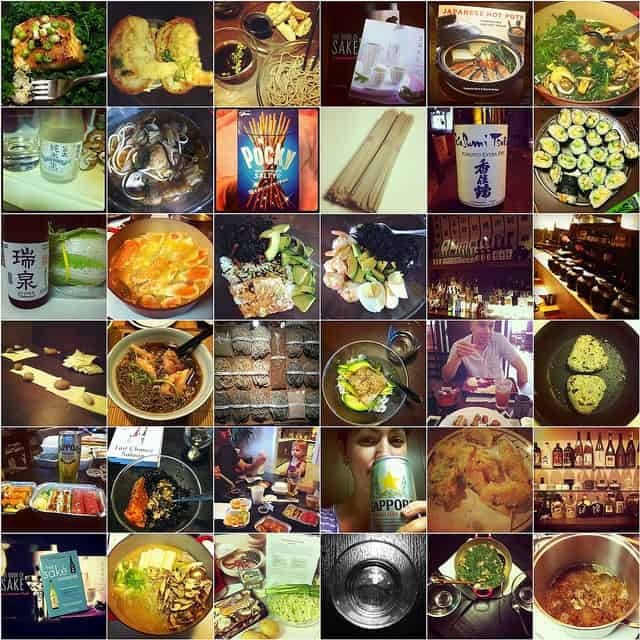 Now, it’s that AND it can also be upscale and gourmet. Tempura – Possibly one of my favorite Japanese foods, tempura refers to vegetables, fish, or meat, breaded and deep-fried, usually served with a dipping sauce and rice, but also can be put into noodle soup dishes. Sweet potato tempura is my all-time favorite. I’m getting hungry just thinking about it! Yakitori – Walk any of the city streets in Japan and you’ll smell it, the sweet aroma of meat, fish, or vegetables cooked over charcoal. Chicken and beef yakitori, small bits on tiny wood skewers, are the most popular versions of yakitori. You’ll see them cooking over hot charcoals and someone diligently flipping them and fanning the smoke away. I love eel yakitori. Mmmm. And in the autumn, mountain vegetables cooked over charcoal are especially delicious. Soba and Udon – I had to put these two noodles together because they’re both quintessential Japanese dishes. Udon are white wheat noodles, usually thick and plump. Soba are darker, buckwheat noodles, usually cut thin. Both can be served in a variety of ways from cold with dipping sauces, in a bowl of soup or with curry ladled over them, or fried up with vegetables or meat. For an on-the-go meal, udon and soba cannot be beat. They’re filling, tasty, and affordable! Pictured above: Shrimp tempura! Oishii! Now that I’m so hungry I could die, it’s time to go out and eat some delicious Japanese food! Do you have a favorite Japanese dish? Tell me about it in the comments!